I love to tinker with my desktop and to change themes and visual styles. Last year, I had written about twenty fabulous Windows 7 visual styles. At that point of time, the Windows 7 desktop modding community was just getting started. Since then the number of available themes and visual styles have exploded. Mac inspired or Mac lookalike visual styles have always been insanely popular. 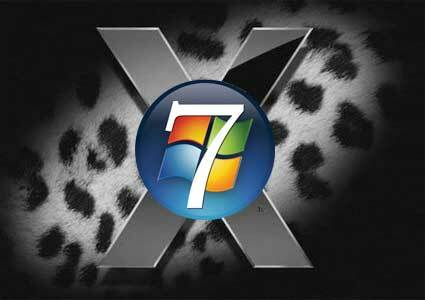 So, it’s not surprising that there are numerous Leopard and Snow Leopard inspired Windows 7 visual styles. Here are some of the best. 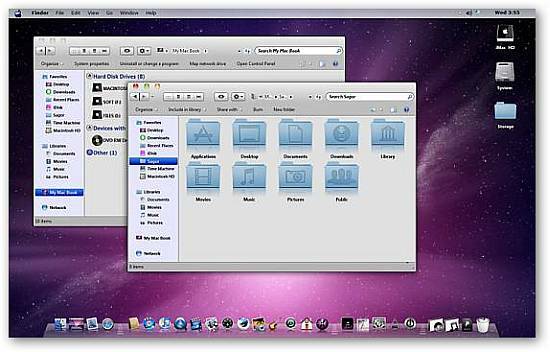 Macos X for Windows 7 is a lot more than just a visual style. It includes new icons and cursors along with modified eplorerframe.dll, imageres.dll and shell32.dll. The taskbar is not to my taste but everything else about the theme is classy. 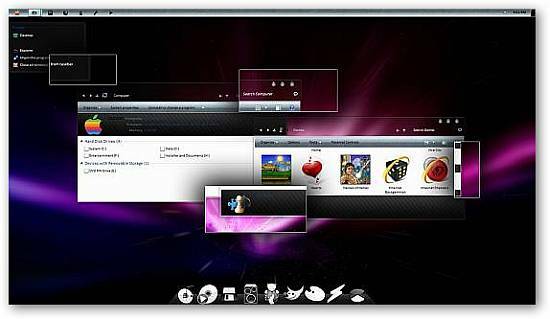 A Snow Leopard inspired theme for Windows 7 that looks quite good. 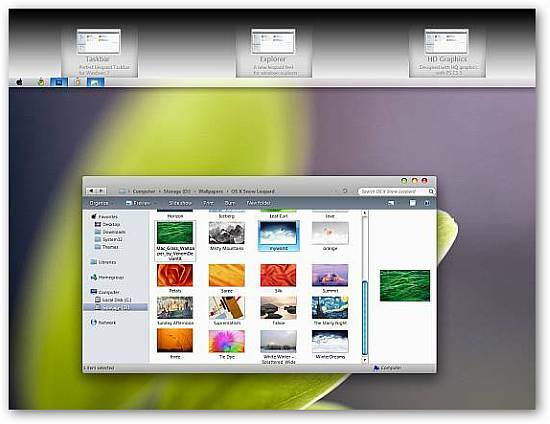 Leopard Mod is by the same designer and includes numerous modified dll files for an enhanced Mac look and feel. A darker take on the Leopard theme, in case you got bored by the default Mac colour style. 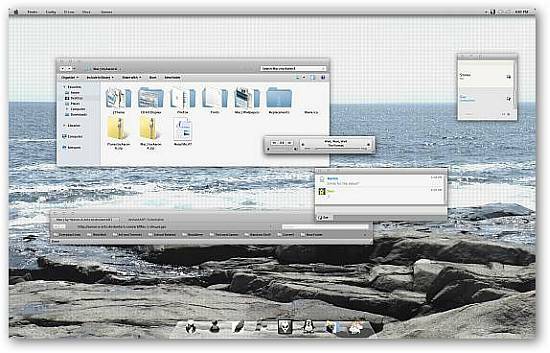 This theme is available two flavours – glass (aero) and basic. Another impressive theme that gets most of the things right. This is my favourite Mac theme. It pulls off the polish found in Mac OSX incredibly well. 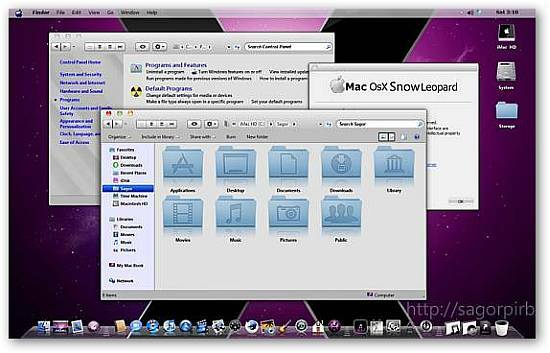 Snow Leopard for Win 7 looks crisp and beautiful. Install and apply themes as well as modified .dll files using Windows Theme Installer. What to do if you get a BSOD or your computer doesn’t boot after replacing core system files? Boot into safe mode (by tapping F8 repeatedly just before the Windows 7 bootscreen is displayed). If you used Windows Theme Installer, use the inbuilt restore function. Otherwise, launch command prompt with Admin privileges (type “cmd” and hit Ctrl+Shift+Enter). Type “sfc /scannow” and press Enter. Wait for sfc to finish and restart your system. These themes definitely look really awesome! I will give some of these a shot on my laptop, hopefully it doesn’t hinder the performance too much. Nice collection of themes, Thank you so much, Definetely the seventh one rulez. All the Mac windows themes are awesome really.I would say great collection and nice list.Gonna implement one from here.. I have tried most of these skins, I have wasted my time for you. I have a quad core pc running WIn 7 and every single one of these skins reduced it to a crawling mess. I also have a macbook air – brilliant, works great. Win 7 is pants, like every other MS OS after XP. If you want a mac, get a mac.